Specifies which interfaces will participate in the EIGRP process. 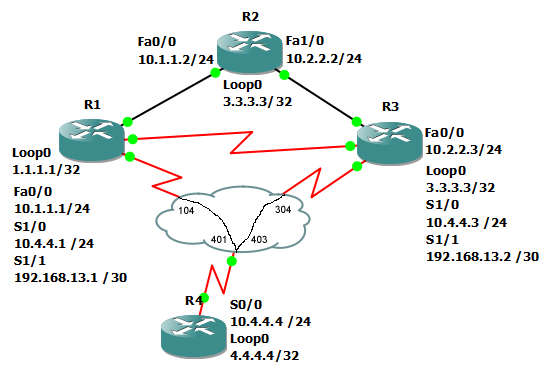 In this example, we will configure EIGRP 100 on all routers in the topology. Notice that we have all of R1’s loopbacks in R2’s routing table. Here, the running config is shown for R2. Note that the router strips the ip to the classful boundary.